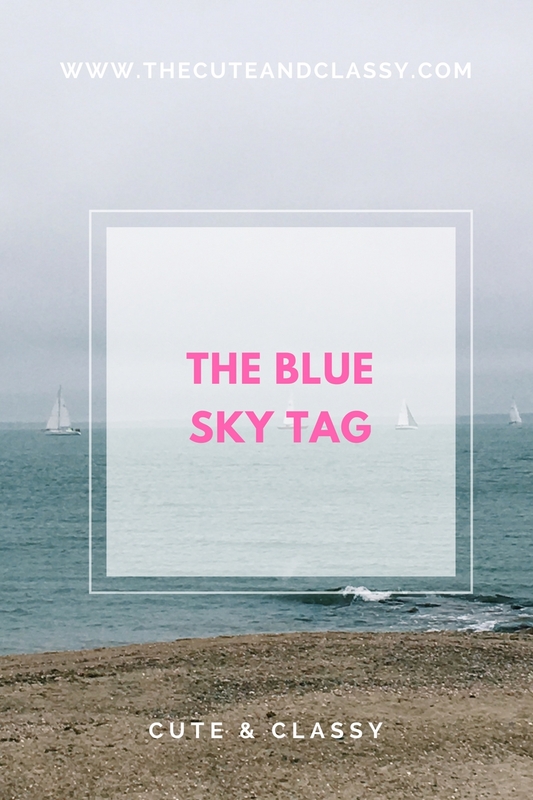 Earlier this week my blog was nominated for the Blue Sky Tag by Alix at A Pint Sized Life. This means that I have to answer the 11 questions she came up with, come up with another 11 questions for the 11 blogs that I nominate for this tag. I always loved watching girls do make up on YouTube. I was never comfortable enough to make videos of my own, but I noticed that a lot of them had blogs linked in their descriptions. That's when I really got into reading blogs. After a few months, I decided that it's something that I wanted to try out. A few years later, here we are! One of my all time favorites, mac and cheese. No, I'm not 5 years old. Rompers are always a great choice. They're comfortable, easy and always look put together. I do love my oversized t-shirts and shorts as much as the next girl though. I can't pick one! I do always turn up the radio when Sam Hunt and Shawn Mendes are on though. Iced coffee all the way! Iced tea is pretty great too. Is binge watching Netflix shows a guilty pleasure? Insta-stories! It's so much easier to have one less app and account to keep up with, but that could just be me being lazy. I'm a Libra. My birthday is September 28th incase anyone wants to send gifts. Name your biggest accomplishment (so far)? I'd have to say it was graduating high school last year and getting into college. It sounds cliché, but it's true. I would love to live by an ocean. Somewhere that still has all 4 seasons but not nearly as much snow as I'm used to in New England. If you know where this is please feel free to let me know. This one tends to change based on the things going on in my life, but right now it's one from Audrey Hepburn. It's actually my lock screen as well. What show are you loving right now? What is your "power color" (or outfit)? LOVE it! Thanks for sharing! The Audrey Hepburn quote is one of my faves. I love this idea! Thanks for the nomination!